A calculation of value report is $499. A minority discount letter (to determine the value of a minority interest) is an additional $250. Additional analysis can be performed at the rate of $220 per hour. What valuation approaches and methods are used? In most cases, we use the highest outcome of three standard approaches: the Income Approach, the Market Approach, and the Asset Approach. The Income Approach values your company based on the present value of all future expected earnings. First, we determine the appropriate amount of annual earnings an investor would expect to receive from your business, then we determine the appropriate required rate of return, and then discount the future earnings to present day value. In determining the rate of return, we consider many factors, including: industry, size, balance sheet quality, customer concentration, growth expectations, etc. In the Market Approach, we collect data from companies in the same industry and size range as your company which have recently sold. We compute means and medians of the Price/Sales ratios and Price/Operating Income ratios from the companies in the group. Then we apply those ratios to your company's data to determine its value based on those previous transactions. The Asset Approach usually establishes a minimum value for your company. It is based on the approximate fair market value of your company's tangible and financial assets. It does not account for the potential goodwill value of your business created by it's sales history or income producing capacity. All of the values arrived at by these methods are adjusted for working capital (current assets less current liabilities), excess assets (assets not needed to produce income) and long term liabilities. The result is the value of the equity in your company. See our SAMPLE BUSINESS VALUATION REPORT for a more detailed explanation. 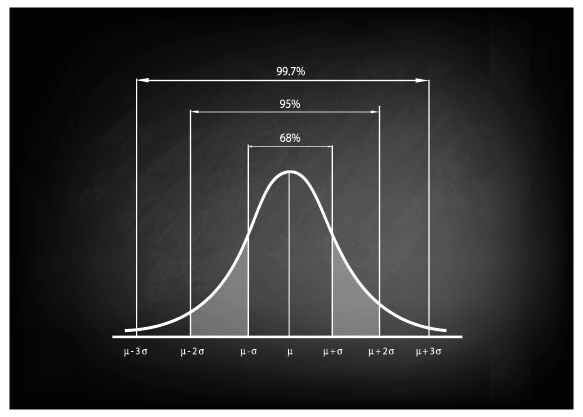 How are the probabilities for the Reliability Score and bell curves determined? The important question is "By how much?" By determining the variance potential of the many data inputs we use to calculate your business value (such as sales, growth rate, profitability, etc.) we can determine the impact all the over-lapping variation has on your business value. This allows us to determine the potential variation contained within your business value estimate, and even identify the key factors contributing to that variation. The Reliability Score is the probability that the ‘true value’ will be within 25% higher or lower of the expected value. 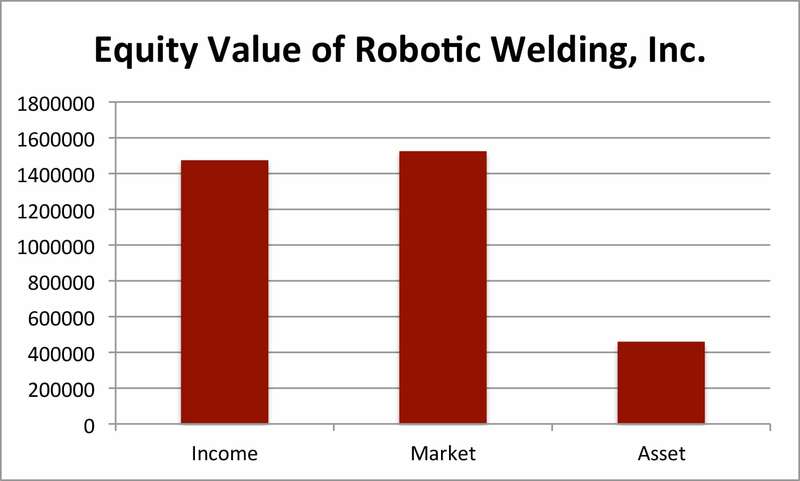 For example, if the Income Approach produces an expected value of $10,000,000, and the associated Reliability Score is 79, then our analysis indicates there is 79% probability that the true value of the business will be between $7,500,000 and $12,500,000. Does this report qualify for the SBA? Is this report appropriate for a divorce proceeding? Full valuation reports are expensive, and take weeks or more to complete. Due to the time requirements of judicial process, if one party in a divorce proceeding orders a full business valuation report, the other party will usually do the same soon after. This can immediately cause the cost of the divorce to increase by $10,000 - $20,000 between both parties. If a low cost calculation of value report is ordered early in the process, one or both parties may realize that the business value does not warrant a full valuation, and the two sides may settle on a value without expert witnesses and unnecessary litigation. In some cases the calculation of value report may indicate that the business value is significant enough that a full valuation report is warranted. Is this report acceptable for IRS purposes? Accuracy is the most important factor for all valuations submitted to the IRS. If the IRS challenges your valuation, they must demonstrate that your valuation logic or methodology is flawed, and present a valuation of their own. The more a business interest is worth, the larger effect its valuation has in determining tax, and the more scrutiny such valuation will receive from the IRS. For business interests worth less than $500,000, a calculation of value report (as sold here) is adequate. For business interests worth more than $1,000,000, a full business valuation report is appropriate. For interests valued between $500,000 and $1,000,000, consideration must be given to the specific circumstances to determining if a full valuation report is warranted. Primary among those considerations is: (1) what are the tax implications of the specific valuation, and (2) were valuation discounts applied to arrive at the value.